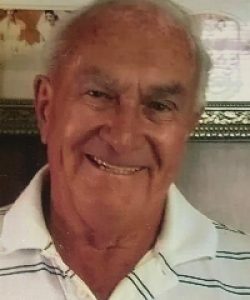 Robert A. Dulmaine, 81, of Worcester passed away peacefully on Monday, January 14th at St. Vincent Hospital surrounded by his loving family. 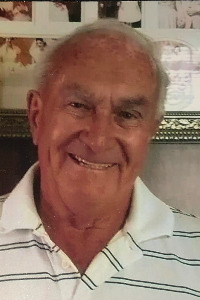 He was married to the love of his life, Patricia (Gouin) Dulmaine for 64 years and together they raised six loving children, Theresa A. Asquith, Sharon A. Coffey of Colorado, Deborah A. Campbell and her husband, David, Susan L. Slade, Robert A. Dulmaine and his wife, Dianna and Stephen R. Dulmaine and his wife, Katie of North Carolina; a sister, Beverly Luthman and a brother, Thomas Dulmaine . He also leaves 14 grandchildren, 18 great grandchildren who he adored and several nieces and nephews. He was predeceased by his two younger brothers, Paul and Arthur, Jr. He was born in Worcester the son of Arthur and Evelyn (Frigon) Dulmaine and was a veteran in the United States Air Force. Robert worked at Jamesbury Corporation as a toolmaker and supervisor for 38 years, retiring at the early age of 60. He traveled with his wife and was a member of the Elks for many years. Mr. Dulmaine was an avid golfer, loved to fish and the New England Patriots and Red Sox. The family would like to thank the staff of 2 North ICU at St. Vincent Hospital for the amazing care Robert was given. His funeral is Friday, January 18th from O’CONNOR BROTHERS FUNERAL HOME, 592 Park Avenue with a Mass at 10:00 AM in Our Lady of the Angels Church, 1222 Main Street. Burial will follow in Worcester County Memorial Park, Paxton. 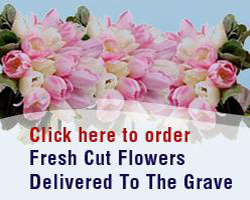 Calling hours are Thursday, January 17th from 4:00 until 7:00 PM in the funeral home. 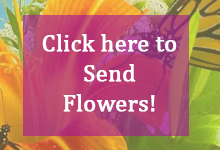 In lieu of flowers memorial contributions may be made to Second Chance Animal Shelter, 111 Young Road, East Brookfield, MA 01515.